Do you want to become a homeowner today so that you can enjoy very low interest rates and increasing home prices? As of early 2017, the housing market is getting stronger, and it is a good time to buy your first home. One of the most popular ways to buy a first home today is with an FHA mortgage loan. These loans are guaranteed by the Federal Housing Administration and have been encouraging home-ownership in the United states since 1934. The FHA itself does not actually write the loans itself; it backs the mortgage with a guarantee to mortgage lenders. FHA will pay the loan off if you do not make the payments. This guarantee of financial backing by FHA give lenders assurance that they will not lose money if the homeowner defaults. FHA requirements are more flexible than Fannie Mae or Freddie Mac in many instances. One of the most difficult things traditionally about buying a home is saving thousands of dollars for a down payment. Many conventional lenders require you to put 20% down. This is just beyond the means of many people. But an FHA first time home loan can be had for as little as 3.5% down. You do need to pay a monthly insurance premium so that the loan is guaranteed for the lender. But putting down only a few thousand dollars to buy a home is a huge benefit. And even better, you can get most of the down payment if you like as a gift from your family. FHA backing your loan means that lenders are much more willing to provide lenient underwriting standards. You will need to show that you have the ability to pay your loan and your other obligations with your income. But FHA mortgages allow you to have a higher debt to income ratio than conventional loans. Further, you can qualify for a low down payment FHA mortgage with a credit score of around 600. Some lenders will have more demanding standards, but some lenders will work with you with a credit score that low. There are even programs available for first-time home buyers with bad credit in some cases. FHA backed loans have a lower interest rate than even market rates sometimes because it is a lower risk for the lender. Note that the FHA does not have any say about the rate that you will pay; that is up to you to negotiate with the lender. But it is really nice to know as a first time buyer that you can get a low interest rate even if you have average credit. There are natural disasters that occur every year, including floods, earthquakes and tornadoes. People who lose their home and most of what they own are facing a terrible burden. But the FHA Mortgage for Disaster Victims Program can provide you with 100% financing through certain lenders. This program can be used to buy a new home or to reconstruct a severely damaged home. When you buy an existing home, you may need to do some repairs. But where are you going to get the money? An FHA home loan can have what is called an FHA 203 (k) loan on it as well. This 203K loan will allow you to buy a fixer upper, and get as much as $25,000 to take care of needed improvements. This can really come in handy because you would be hard pressed to borrow money to do renovations at a lower interest rate! After you get your home, even if you have little equity, you may be able to borrow money from an FHA-approved lender to do repairs. This is known as an FHA Title 1 Loan. There are thousands of dollars in closing costs when you buy your home. 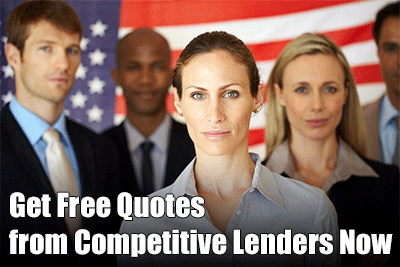 These include credit report, inspection, appraisal, commissions and broker fees. FHA does not determine what the closing costs will be, but the costs usually are lower than a conventional lender. You would be wise to negotiate this with your lender. Get Started with a FHA Loan Application. Also, note that you can have the seller pay some of the closing costs, if they are agreeable to do so. This means that you do not have to pay as much cash out of pocket. There are hundreds of FHA-approved lenders in the US. You can get a 30 year fixed loan, an adjustable loan of three, five or seven years, and also a 15 year loan. Not every lender offers the same types of loan, so you should try several different lenders to see who offers you the best deal. Also, different lenders may offer slightly different rates. So it always will pay off for you to check with several lenders. Buying a home for the first time can be both exciting and challenging: Exciting because you are finally going to have a piece of the American Dream. But it can be challenging because there are many costs associated with buying a home. Buying a home for the first time especially can be difficult because you do not have any equity currently that you are bringing to the table. But millions of home buyers across America every year are surprised to learn just how easy it is to buy a home with an FHA mortgage. Down payments are very reasonable, as are the interest rates. All in all, getting an FHA insured mortgage could be the best decision you make when you get your first home. Congress and HUD just raise loan limits in many regions in the US and that make the FHA mortgage more attractive than even for 1st time home buyers. Are you a first time home buyer looking for financing that works with your budget? Then you know that this can be a very exciting, but also frustrating time. Many first time home buyers have challenges getting a loan for a variety of reasons, from poor credit to lack of a down payment. There is hope though, a lot of it! One of the best and most popular home mortgage programs today is the FHA loan program. FHA mortgages are guaranteed by the Federal Housing Administration, meaning that if you fail to pay the loan, the agency pays back your lender. This guarantee is important because it means that lenders are more flexible in granting loans to buyers who might not necessarily qualify. There are thousands of approved FHA-mortgage lenders in the US. All of them have different credit standards, but odds are that most people can find a lender who will work with them. FHA gives lenders plenty of flexibility in how good the credit needs to be for potential buyers. Many people are able to get loans with fairly poor credit, technically, as low as 500. Your odds of being approved for a loan are greater, of course, if you have higher credit, at least 620. But having poor credit is not necessarily an obstacle. The thing to know about bad credit is this: FHA is not so interested in your current credit score; this program is designed for people with past credit problems. What the agency wants to see is that you have your feet under you again. You are paying your bills on time, have steady income, and do not have many late payments in the past two years. Tip: If you have credit scores lower than 600, you will probably have to check with several FHA-approved lenders to give you the best chance for mortgage approval. Never owned a home before? Or, has it been years? Then you probably know what it is like to try to buy a home with little or no current equity to use for a down payment. Many first time home buyers struggle to come up with a down payment for their new home. But there is some confusion out there about how much is needed for a down payment. Most people – even those with fairly poor credit – do not necessarily need to have 20% down to close a home loan. Many conventional loans not backed by FHA do require a higher down payment, but don’t worry. There are home loans available with a much lower down payment. For example, FHA loans only require a 3.5% down payment for many home buyers – as long as their credit score is 580 or higher. This low down payment is within the means of many first time home buyers. Tip: First time home buyers who want to qualify for a 3.5% down payment should have a credit score of 580 or higher. Do you think that the only way to get a low mortgage rate is to have 740 credit? Wrong! That FHA guarantee of your loan also will help you to often secure a very low rate. 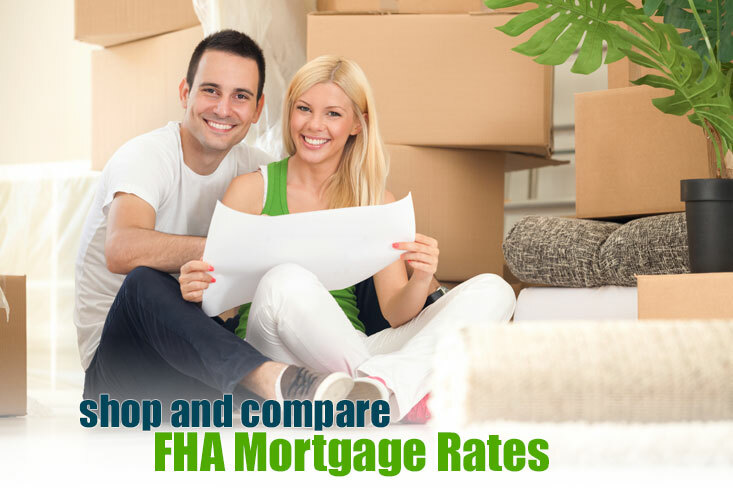 In fact, some FHA products have lower FHA loan rates than current market rates! You can have credit in the low to mid 600s and still get a very low interest rate. Tip: The only major down side of FHA mortgages is that you are required to pay for mortgage insurance each month. This is an additional monthly fee on top of your loan, interest, home owner’s and real estate tax payments. Most FHA lien holders hate mortgage insurance. But look at it this way: That monthly mortgage insurance premium helped to get you into the home, and with a low down payment and low interest rate! As with other parts of the loan program, debt to income ratios also are very flexible with FHA loans. Even if you have a car loan, credit card payments and student loans, you may be able to qualify. As long as FHA is convinced that you have the income to make the mortgage payment, you can have a DTI of as high as 50%. So having a lot of debt will not necessarily stop you from buying your first home. Another myth out there in the home buying world is that you have to wait seven years after a foreclosure or bankruptcy to get a home loan. This is complete nonsense; in fact, we know that many people don’t even think about buying a home if they had one of these negative credit events happen two or three years ago. They believe they cannot qualify. This is just not true. What is true is that the bankruptcy or foreclosure will show on your credit report for 7-10 years. But this rarely means that you cannot get a home loan until that record is off your report. As long as the bankruptcy or foreclosure is one or two years ago, you still may be able to get an mortgage insured by the FHA. And if the black mark on your report was three or five years ago, it’s not an obstacle at all. Tip: Again, FHA wants to see that you have recovered financially from your credit problem. So for the year or two before you apply for a loan, get your finances in order and make all credit payments on time. The FHA program is one of the best, easiest to qualify for home loans on the market for new house buyers. There are many people who can qualify for FHA first time home loans who assume that they can’t, and they continue to rent far longer than they need to.